Are you a Bloomington, MN business in need of commercial garage door installation? Does your Burnsville company require an industrial garage door installation for a new facility? If either of these scenarios sound familiar, consider contacting O&L Door Systems. What’s the O&L stand for, you might ask? Ole & Lena — two characters from Minnesota folklore whose parables have entertained several generations of our North Star kin. We’re dedicated to providing our Minnesotan neighbors with the finest the area has to offer. We’ve supplied Twin Cities metro area businesses with quality products and outstanding service for over twenty years. The team at O&L Door Systems is dedicated to ensuring your project receives personalized attention, quality craftsmanship, and clear communication throughout its lifespan. We offer products and services that can help your organization with its commercial door installation needs. 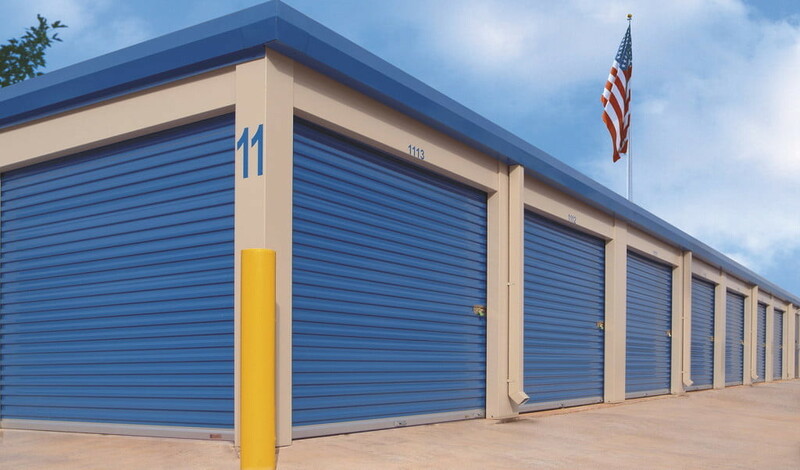 Warehouse Doors: Warehouse doors are perfect for a large storage facility. If your Bloomington, MN business is in need of a warehouse door installation, we can certainly help! We offer doors that roll-up and a swing-open option for easy staff access when you don’t need to grant full access to your warehouse. Front Entry Doors: Does your Eagan, MN business need front entry commercial door installation? We offer a wide range of front entry door solutions that can help improve the aesthetics of your storefront and attract new customers from all across Dakota County. Coiling & Fire Doors: If your South Metro company is in need of a new fire or coiling door, we can outfit you with a new unit that’s code-compliant and durable, providing you with years of dedicated service. High Speed Doors: Need a door that opens and shuts quickly? We have a great selection of high-speed doors sure to meet your business’s needs. Loading Dock Equipment: Give us a call if your Bloomington, MN business is in need of loading dock installation. We offer a wide range of loading dock equipment solutions to choose from and a team of dedicated professionals fully qualified to perform installs. When you need someone to install a commercial garage door, you should expect the highest standards of professionalism and safety. That’s what O&L Door Systems is committed to providing with its commercial garage door installation in Bloomington, MN. Our highly skilled technicians have years of experience and training, and we’ve been installing garage doors in the for over twenty years. Our professional installers are familiar with all the major brands of commercial garage doors and commercial garage door openers, so you’ll get a fast and reliable installation every time. Whether you have questions about our technicians, our experience, the different types of commercial garage doors we offer, the amount of time and work involved in the installation process or anything related to your installation, we’re happy to tell you everything you need to know. Customer satisfaction is our highest priority and we want you to be confident that you’re getting a professional, safe commercial garage door installation. At O&L Door Systems, we’re dedicated to providing you with the finest products and are available around the clock to help you with your commercial door needs. We’ve supplied area businesses with our services for over two decades and are eager to help you, too. Contact us today.